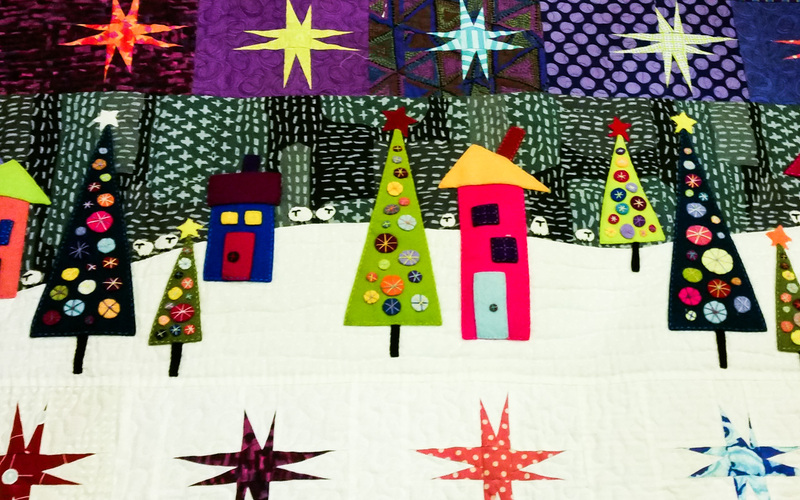 Quilts have a memory. They all remind me of a place and time, and some of them I can’t give away because I want to keep the memory. These reflections from Wendy Williams of Flying Fish Kits during her trunk show at the WA Quilters’ Association (WAQA) AGM earlier this month really resonated with me. I too have quilts that I won’t give away, but even the ones I have given away still hold memories for me. Wendy was also facilitating some workshops for WAQA while she was in town. I’d had the opportunity to book into one but I have to admit that the photos I’d seen of Wendy’s work hadn’t really excited me much. So I’m really glad I got to see her trunk show because the photos definitely did not do her work justice! 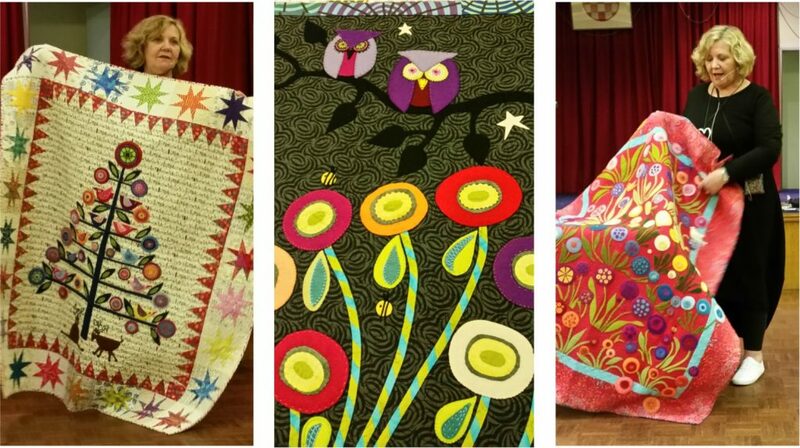 During the trunk show Wendy shared her story of how she became a quilt designer after originally following a career in the fashion industry. 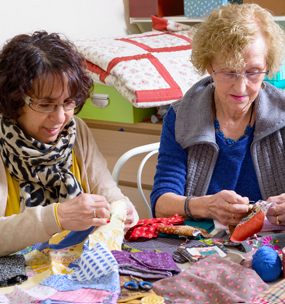 It was very interesting to hear the technical challenges she had to overcome when learning how to make quilts. 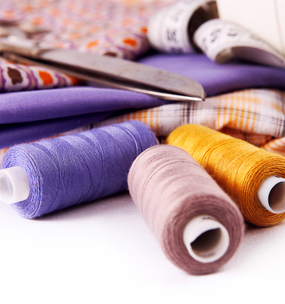 For example, she noted that accuracy was imperative when she was sewing garments for high end fashion houses but with quilting, “…You have to let go of perfect. Just enjoy the process.” And while she still works best when working to a deadline, she relishes the rhythm and calm of hand stitching. Wendy’s signature technique is applique with wool felt. She discovered wool felt by accident after an order of felted wool (yes, they are different) was incorrectly supplied as wool felt. 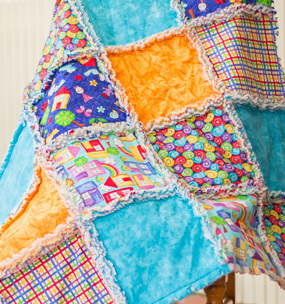 As it holds its shape well and doesn’t fray much it became her fabric of choice for applique. 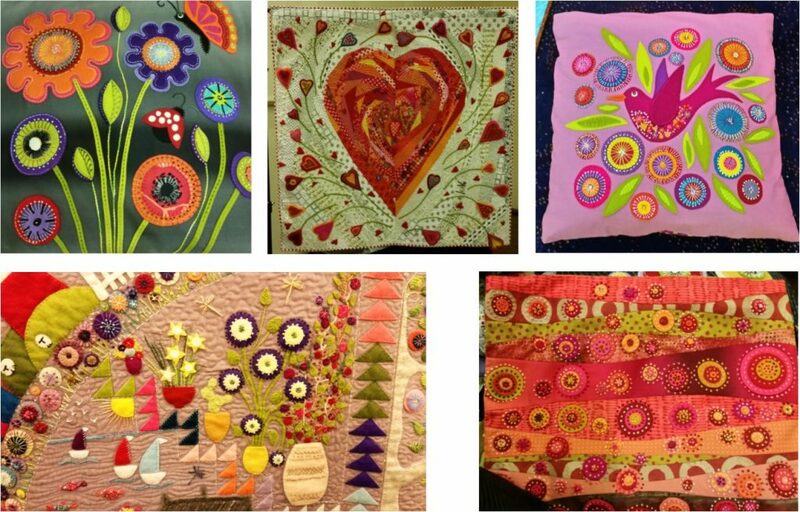 She uses bold, bright colours that pop and enhances them with simple decorative stitches. 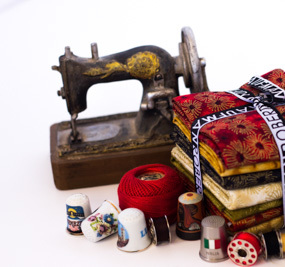 The threads she uses for the decorative stitching are of varying weights, often in contrasting colours, and add definition and extra visual interest to her quilts. A little bit of lime green and/or hot pink will activate all the other colours. Wendy is now beginning to experiment with Boro, a Japanese textile mending technique using a form of embroidery called Sashiko. The sample she showed us, a cushion cover, had Boro as the base technique with wool flowers appliqued over the top. We look forward to seeing where her experimentation takes her next.